Today I’m going to answer a question I was asked about the smallest cat breeds. These breeds are ideal for people who live in smaller homes or apartments and are just as lovable as their larger counterparts. The Singapura is said to have originated on the streets of the city/state of Singapore, (previously Singapura). They range in size from a mere 5 to 7 pounds fully grown. Their coat is unusual in that every hair is 2 colors, lighter ivory at the base darkening to a fawn color at the tip. 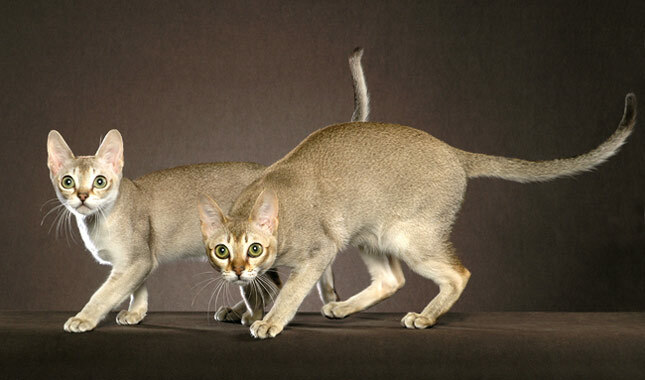 A Singapura is known for her large eyes and ears, and also for her quiet intelligence. This breed is recognized by the Guinness Book of records as the world’s smallest cat breed. No matter what you’ve heard the Munchkin is NOT a cross between a Dachshund and a cat! Just because her legs are short and her body long that has been a popular comparison. This is a breed that occurred from a natural genetic mutation. 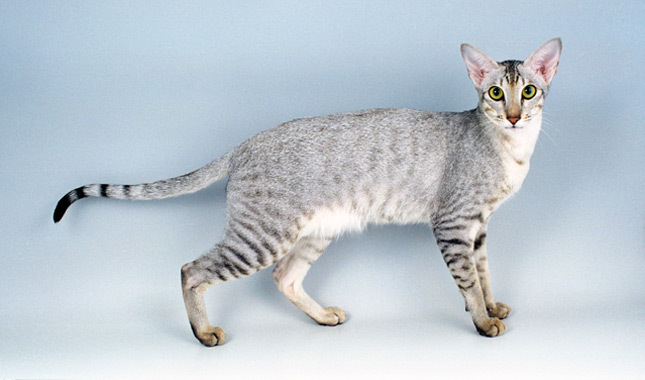 These short legs turned out to be a dominant inheritance pattern and the breed was recognized by the International Cat Association in 2003, although not yet recognized by the Cat Fanciers Association. Just because her legs are short doesn’t mean she’s not active and full of fun! The Devon Rex is a popular cat breed from the United Kingdom known for her high cheekbones, long legs, and slender body, and stubby or no whiskers. In other words, she’s the high fashion model of the cat world! The Devon is popular for several reasons. She is highly affectionate when her people are around but will stay out of trouble when they’re gone. With a unique semi curly coat that sheds only minimally, the Devon is also recommended for people with allergies and won’t force you to drag out the vacuum too often! The Siamese is a sleek beauty originally from Thailand. 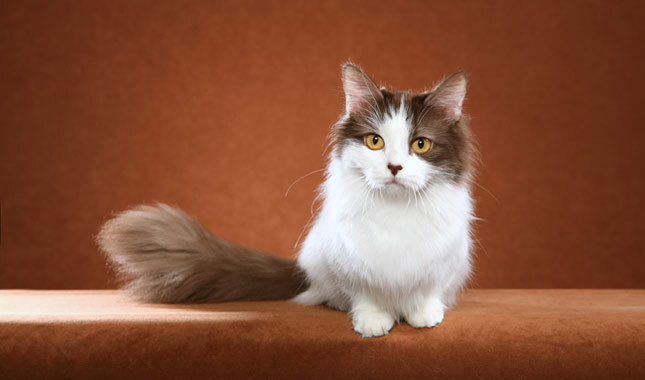 Though these cats come in different color variations the body is always a lighter tone with darker colored extremities, referred to as points, on the face, ears, paws, and tail. 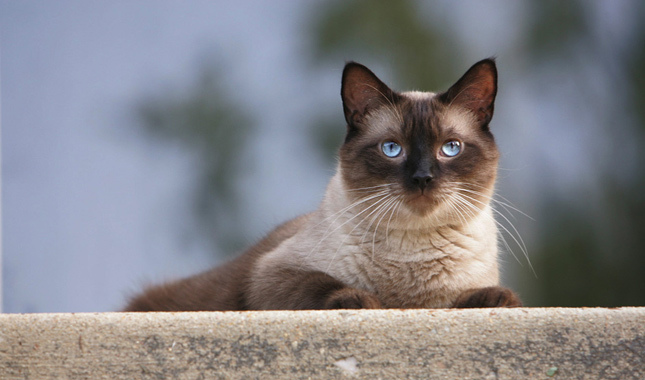 Another striking feature of the Siamese is their beautiful baby blue eyes. They are very intelligent and known to be quite vocal, so if you want a cat who can have daily conversations with you this is the one. As the name implies this Rex breed also originated in the UK and first made an appearance about 10 years earlier than her cousin the Devon. The Cornish has a coat that is shorter and curlier with a narrow more pointed face. They are known for being inquisitive and friendly, and not extremely active. 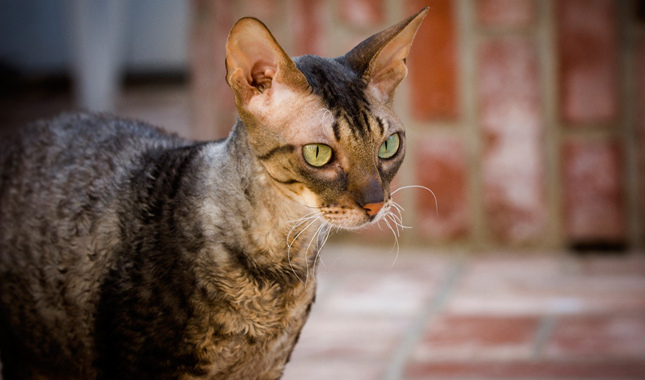 The Cornish Rex is recognized by all major cat registries. The Oriental has a build similar to the Siamese, long and svelte, and likely has Siamese genes in her background. She is a natural athlete, very active and into everything. Orientals will want to supervise all family activities and give her opinion on how things should be done! Because of her high energy level, she will need regular play activity if you intend on getting a good night’s sleep. This breed is named not for a curly coat but for her unusual ears, which curl backward and toward each other forming a crescent moon shape. 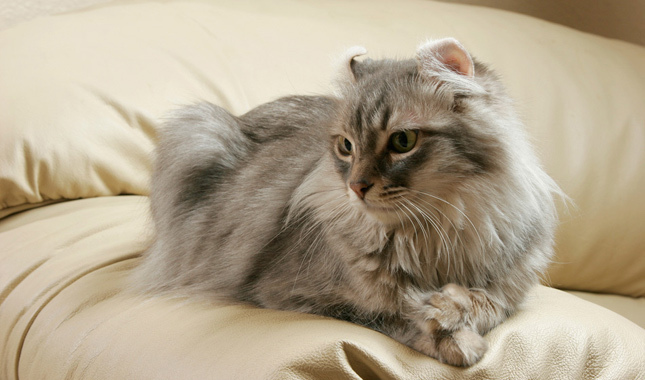 The Curl has a slender build which is often hidden by her long silky coat. The coat feels very fine due to having no undercoat. This is a recent breed, only in existence since the 1980’s. This cat is known as fun-loving and is also said to bring good luck to everyone who lives with her. At least that’s what they say in her homeland of Japan. And no one can argue, this happy playful cat will make friends with everyone. The Bobtails’s coat can be short or long and comes in many colors and patterns, but she always sports the short bobbed tail. The Bobtail was the model for the traditional ceramic cat statue which has graced the entry of Japanese homes and brought good luck for centuries. So there you have it, the answer to the question “What are the smallest cat breeds”? If you’re in the market for the addition of a cat to your family I hope you may find an idea here. I’d love to know what you think, all questions and comments are welcome below! I have to admit that is never heard of any of these breeds aside from Siamese before, but the Japanese Bobcat definitely caught my eye. I take it then that this cat isn’t unique to Japan? Is it any harder to buy then other cat breeds though? Thanks for stopping by to read this article. 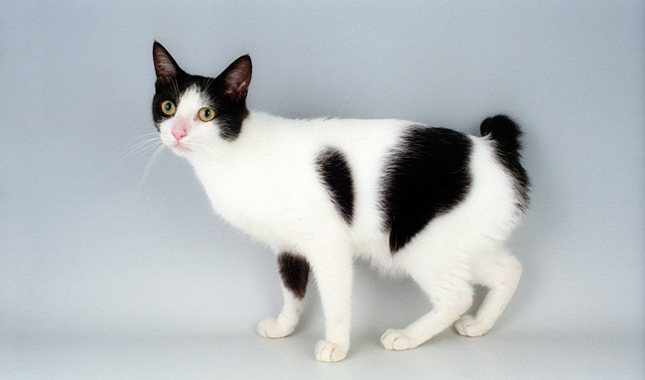 As to your questions, the Japanese Bobtail did originate in Japan centuries ago. And while they are plentiful and easy to find in the Far East, here in the U.S. that is not the case. There are other breeds of cats with a bobbed tail if that’s the type you’re interested in. I always suggest looking for a breed specific rescue organization before turning to a breeder. Your cash outlay will be much less and you will be giving an abandoned or unwanted animal a new home and family. All the best, come back soon to see what’s new! I’ve had cats all my life. At the moment I have cats. They are such good pets to have and each have their own personality. A few of the cat breeds in your post I haven’t heard of before. 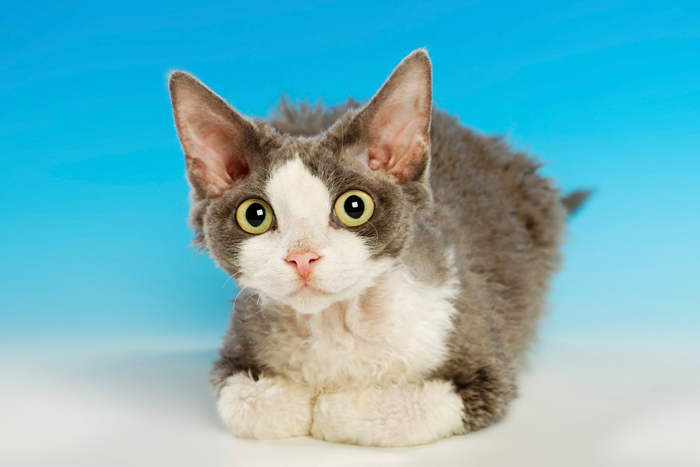 The Devon Rex looks so cute. Thanks for your comments, it’s always great to meet another animal lover. I’m happy you enjoyed the article and maybe learned something too! Enjoy your cats and come back soon to see what’s new. We’re not in the market, in fact we just became a 3 cat family about 2 weeks ago. Simple cats, no idea about the pedigrees but family! In the hopefully not to distant future, my wife and I plan on becoming RV people and most likely will scale down to a smaller cat to travel with us. The Devon Rex sounds like a good fit with a gypsy lifestyle! Thanks for stopping by and reading my post. My next door neighbors just sold everything and bought an RV. They will have a “home base” near family and take off to explore parts unknown when the mood strikes. I wish you all the best with your adventures in the RV, and am happy that you will still have a furry companion in your life. All the best to you! I love cats but have not had the pleasure of living with one since I moved into my apartment. These small breeds want to make me give it a go and once again become a cat owner. Thanks for the information. I prefer the look of the Singapure for their intelligence, although the munchkin is so cute! I think cats are ideal for smaller places and will make a nice little companion for you. Be sure to check out rescue organizations first, it’s always surprising to see how many purebred animals are relinquished by their owners. All the best in your search for a little furry roommate! My favorite is the MunchKin, wow that’s a cutie. I do love cats. We have a calico, she loves us, but only once she’s figured out how to attack us first, ha! Or give her tuna as she believes she owns the house. My very first cat was a Calico! I was 3 years old and called her Callie. Yes you are right, once the tuna comes out they all become Queen (or King) of the castle! I’m happy to hear you are sharing your home with a furry companion, they do add a lot to our lives. Come back soon to see what’s new!